1.1.1 Out of respect for our clients’ privacy the following comments have been redacted from letters we have received over the last three decades. Out of respect for our clients’ privacy the following comments have been redacted from letters we have received over the last three decades. Our clients include both creditors and debtors in bankruptcy, those involved in trustee’s sales, foreclosures and forcible entry and detainers. At the conclusion of our representation we ask each client to review our services. We are please to say that our average grade is an “A” or “Five Stars”. Personal referrals are gladly provided on request. Our reputation is built on our client’s trust that we could help them during a very difficult time. Our commitment to each client is to provide them the best guidance we can. Our clients seek our help at time their lives are turned upside down; most are scared and just want a calm nights sleep. Our responsibility is to guide our clients toward that peaceful sleep, but requires hard work. Many of these reviews describe their successful travel to that peaceful life. After choosing to file bankruptcy, I selected another attorney at first, which was a huge mistake. He offered payment plans which seemed to be a good choice at the time. However, his lack of communication and errors in my documents filed with the court were going to cost me in the long run! I fired him and chose to work with Diane and Jay instead, which turned out to be the right decision. Her professional guidance and continuous communication helped me get back on track with filing my case correctly. You cannot afford to make mistakes when filing bankruptcy, or it will cost you. Diane will guide you in the right direction at all times. She was firm and held me accountable for providing the required documents, and even though she was very busy, always made me feel important and welcome, too. She understands that a simple mistake could cost you in many ways, and works very hard to avoid this. Bankruptcy is a delicate situation and one that can be overwhelming. Diane will guide you through it, with very clear and detailed instructions, and excellent communication. Her knowledge of the law and her expertise are second to none, and I highly recommend her! We want to thank you for taking our bankruptcy case. It was a time in our life when we were emotionally, and financially distressed. You put our minds, and emotions, at ease, by confronting each of these issues. You made us feel as though we were your friend; for that we are grateful. We would recommend your service to anyone facing these same difficulties and needing someone to guide them through such struggling times. Forever Grateful. I&A.FYou made us feel as though we were your friend; for that we are grateful. I can’t begin to adequately express how professional, caring and dialed in Ms. Drain was when I consulted with her. Her knowledge and ability to ask the right questions enabled myself to have a great conversation and come away with a plan of action. I would give more stars if I could. L.G. Her knowledge and ability to ask the right questions enabled myself to have a plan of action. Diane is a very informative, thorough, highly intelligent and respectful individual and lawyer. Any questions or concerns I had throughout my bankruptcy, she answered everything promptly with additional information. I recommend her services 100%!! Nothing but the highest praise for her and Jay. E.H.Diane answered everything promptly with additional information. Feeling the questionable unease of financial hardship can be one of life’s most serious challenges; not knowing where to turn for information, who to trust, and how to proceed once you have the information can be overwhelming. I was feeling lost and out-of-control not knowing what to do next and so I contacted the offices of Diane Drain. What I found was a person capable of compassion, empathy, and in my case, a person capable of giving enough information to steer me in a direction of meaning. At this point in time I have not gone down the road of bankruptcy; however, I now have a much clearer understanding of my choices and that has made the financial challenges much easier to deal with. I am indebted to Diane not only for providing her vast knowledge of Bankruptcy law, but the generosity of time she gave me when we went beyond the 30 minute free referral. I highly recommend getting in touch with her if you’re having any financial challenges! T.P.I have a much clearer understanding of my choices and that has made the financial challenges much easier to deal with. If you have to file bankruptcy, I recommend you hire Diane Drain. After speaking to 3 other bankruptcy attorneys before Diane, I believe I know the difference between a knowledgeable, professional, trustworthy bankruptcy attorney, and one who is not. Diane helped guide me through the bankruptcy every step of the way, with a very calm demeanor, which I really needed. My debts have now been discharged, and I have never been happier! D.W.Diane helped guide me through the bankruptcy every step of the way, with a very calm demeanor. Diane helped me straighten out my case, after an attorney from a different law firm, made serious mistakes in my filing that could have been extremely detrimental. If not for her very professional guidance, constant communication and follow-up, while being firm and holding me accountable for producing the required documents, I don’t know what I would have done. This was a very tough time for me, and Diane’s extensive knowledge, professionalism, and guidance got me through it. Thank you so much, Diane! You are so very much appreciated. J.D.Diane cleaned up serious mistakes made by another attorney. Like many people, I was very apprehensive about filing bankruptcy. At 65 years old, I always thought- That would never be me! But after paying all my bills for 49 years and barely treading water, I was laid off and found myself with nothing. I talked to 5 other attorneys before I found Diane, and they were not a good fit. In fact, most gave me inappropriate advice or simply wrong facts. I found Diane from the BBB website and I knew from our first conversation she was the attorney for me. Diane is so knowledgeable, thorough, timely and efficient! She is also compassionate and caring. And Jay (in the office) was wonderful too! I would recommend Diane to anyone who might have to go through the difficult process of bankruptcy. D.W.After paying all my bills for 49 years and barely treading water, I was laid off and found myself with nothing. Diane ranks 10.0 out of 10.0 for over all client and her peers rating on AVVO (a site for lawyers). Over the year we have met and worked with some of the finest attorneys in Arizona. Many of these attorneys have left remarks on Martindale Hubbell, AVVO and LinkedIn. I wholeheartedly endorse Ms. Drain as a bankruptcy practitioner. She is, at all times, a conscientious and caring professional. Diane is one of those attorneys to whom I refer clients with total confidence that their legal needs will be well handled, and that the client will receive the personal attention they deserve. I have worked with Diane over the last 20 years, and know her to be very well informed in law generally and specifically in Bankruptcy. She is on top of all current issues and technology. She lectures in law regularly, including as an adjunct professor at Phoenix School of Law. Diane serves on the Board of Governors of the State Bar of Arizona, and has participated in numerous committees and sections of the State Bar and other professional organizations. James Kahn"at all times, a conscientious and caring professional"
Diane Drain is a rare gem in the consumer legal field. She is tireless in her advocacy for her clients legal rights. She constantly networks, teaches, and mentors attorneys for the benefit of their clients, and the general community. When it comes to bankruptcy, real estate matters, or other consumer issues, Diane is prepared to represent her client needs in the most compassionate and professional way. Anyone looking to solve a real estate or financial problem needs to look no further for the best attorney in Arizona to assist their needs, and to guide them safely through to a brighter future and new hope. Diane is the attorney every lawyer should aspire to be in the way she benefits her clients, other attorney’s clients, members of the State Bar of Arizona, and all citizens of the State of Arizona. I could go on for hours about Diane, but I don’t need to. Schedule an appointment with Diane and you will immediately know what I am trying to say from the minute you meet her. Dwayne Farnsworth"She is tireless in her advocacy for her clients"
Diane Drain is a great bankruptcy lawyer and a pleasure to work with. The field of bankruptcy is lucky to have her as a lawyer practicing in this area. I first met Diane as one of my professors in law school. She was an excellent instructor. Her reputation and accomplishments speak for themselves, but I will reiterate that Diane is one of the preeminent bankruptcy attorneys in Arizona. As an attorney, I have seen Diane at pro bono events that offer free legal assistance to veterans. She gives so generously of her time to help those who normally could not afford an attorney. I wholeheartedly endorse her! I have known Diane for more than 8 years and she continuously impresses me with not only her knowledge, but also her desire to pour into other lawyers in the community. I have seen her assist the community in many different volunteer capacities, most especially including the Self Help Center of the U.S. Bankruptcy Court in Phoenix. She is a true asset to the legal community and I am grateful that I am able to call her a friend and mentor. Krystal Ahart"true asset to the legal community"
Ms. Drain is a very well-respected lawyer and a valuable asset to this community. Her continuing dedication to the law and her clients is admirable. If you are looking for a bankruptcy lawyer, give her a call. I have known Diane for many years, and she is a great contributor and asset to our community of bankruptcy practitioners. Simply stated, Diane is great at what she does. That’s why I am so comfortable referring work to her. Brian Spector"great at what she does"
I have known Diane Drain for several years now and have found her to be professional, knowledgeable and meticulous. All positive aspects in her professional field. I have known Diane for many years and she has always been a great attorney who cares about her clients. Diane is knowledgeable, diligent and accessible and I wholeheartedly endorse her as an attorney. Although she likely won’t recall this Ms. Drain took time to answer a young attorneys questions about representing debtors and creditors; that attorney was me and the advice was extremely helpful. The advice she gives is always thoughtful and sound. I strongly endorse this attorney. Diane is a dedicated individual that to gives without measure to her community. It is has been my honor to know Diane for the past ten years. She is committed to the service of individuals in financial straights. To know Diane is to know a caring, committed professional. She has the abilities and the compassion to represent her Clients’ needs. I recommend Diane without reservation. I endorse Diane L. Drain, who I’ve known for over 35 years. She served as an elected members of the Board of Governors of the State Bar of Arizona for more than 18 years. I have referred clients to her in the past and have always always received reports of her excellent legal advice and professional representation of the clients I have referred to her. Diane is a first CUSTOMER that I’m leaving a review for… As her IT consultant, Diane proves to us weekly that she is a capable, responsible, honest and hard working woman! Diane’s care of her customers, their security, her professionalism towards them and what she does to keep up with technology and security, is above any other lawyer we’ve worked with! Diane’s contribution to the attorney community in Arizona is a fresh breath of greatness, and the fact that she’s been practicing law and helping so many lawyers grow, tells us she’s the last person to quit, and the first person to help. Thanks to Diane, we have made lots of connections with the legal industry, the state bar, lawyers and firms in Arizona and out. She’s an honest, professional and “easy going” down to earth lady. I endorse this lawyer. An extremely talented and well respected attorney in the legal community. Diane is truly one of the preeminent lawyers in Arizona. Her knowledge of real estate and bankruptcy matters is vast. She has tirelessly and unselfishly devoted a considerable amount of her own time in assisting others, and working to improve the bankruptcy system. I highly recommend and endorse her. Asheton Call"tirelessly and unselfishly devoted"
I have know Diane for several decades, starting in the early 1990’s. We have presented CLE courses together, been opposing counsel, and mutual friends. She shows unequaled integrity, compassion for others, and passion for the law. She is respectful of others including opposing counsel. I’ll give her 10’s on all scales, and highly recommend her. Rex Anderson"She shows unequaled integrity, compassion for others.."
I had the chance to work under Diane through my law school’s clinical program (she was my bankruptcy professor). Diane taught me a great deal about bankruptcy, but she also taught me a lot about how to run an ethical, respectable law practice. She really knows her stuff! Even though I am licensed and running my own practice, she is the first person I would think to call if I ran into a bankruptcy problem and did not know how to handle it myself. I cannot recommend her highly enough! David MercerShe taught me how to run an ethical, respectable law practice. Martindale-Hubbell® Peer Review Ratings™ recognize lawyers for their strong legal ability and high ethical standards. Individuals seeking legal counsel, as well as attorneys looking to refer a colleague, use these ratings to identify, evaluate and select the most appropriate lawyer. An elite group of approximately 10 percent of all attorneys holds an AV Preeminent Rating, a designation trusted worldwide by buyers and referrers of legal services. I endorse this lawyer. Diane is not only very knowledgeable, but she cares about each of her clients individually, something many bankruptcy lawyers do not do. I have known Diane Drain for many years. I definitely recommend Diane as a bankruptcy attorney. She is very experienced and knowledgeable of the law and she is devoted to helping her clients. I endorse Diane without reservation. She is kind, caring and extremely knowledgeable. She combines years of experience, common sense and great customer service. I would not hesitate to recommend her for my own mother’s bankruptcy! Robert E. BrownI would not hesitate to recommend her for my own mother’s bankruptcy! I endorse this lawyer. Diane is incredibly knowledgeable about the bankruptcy process and very personable too. Danielle GrahamDiane is very personable. Diane is a great bankruptcy attorney and I have no hesitation in referring potential clients to her. I know she will represent them with excellence and integrity. I endorse Diane without reservation or hesitation! She is as dedicated to her clients as she is to the local legal community and you will not find a more caring or committed professional. Her abilities and compassion are unmatched. David GlynnHer abilities and compassion are unmatched. Diane is an excellent mentor for young bankruptcy lawyers and I have personally benefited greatly from the experience of being one of her mentees. She is a lawyer who cares deeply not only about her clients but about the legal community. Diane is a leader in the legal community who creates time to advise and mentor other attorneys, thereby raising the level of the profession. Diane is a great asset to the legal community. She is wonderful mentor, professor and someone who I believe genuinely cares about her clients and looks at their situation with a lens focused on real life solutions and consequences. Diane is one of the best bankruptcy and foreclosure attorneys in the Valley. I have referred many clients to her over the years and have consistently received very positive feedback. Although I’ve only known Diane short time, I’ve learned: her ethics are impeccable, she’s highly competent, she cares about her clients, she’s committed the legal community and to helping people, she perseveres, she’s approachable, and she’ll go the extra mile. She’s been very supportive and helpful in helping me acclimate into a new legal community, for no other reason than – just because. She’s definitely a keeper and you’ll be well taken care of. Jacque RamboShe‘s definitely a keeper and you’ll be well taken care of. Ms. 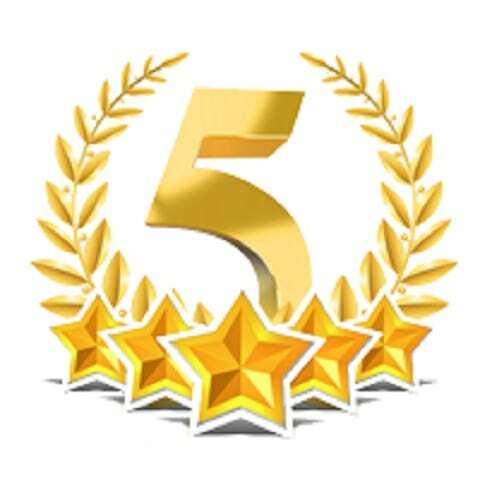 Drain ranks 5.0 out of 5.0 for over all client rating on Martindale Hubbell (a site for lawyers). Bankruptcy is not in anyone’s long term plans and was something my wife and I never really considered for years as we slowly drowned in debt. Despite the social stigma of bankruptcy, my wife and I started to educate ourselves about it and realized it was a great option for us. We live in Payson, AZ and talked with the first bankruptcy lawyer we could find in Payson. He made it clear that it was the option for us but we felt demeaned and uncomfortable with some of his suggestions. Still, we felt like it was our only options so we started to move forward with him. Soon after we retained him, we started doing our research on him and found that he had a number of red flags. Our uncomfortableness was founded. We started searching for a highly rated lawyer and found Diane. Even though she wasn’t 100% sure that representing us was our best option (due to location), she confidently and patiently answered numerous questions for us. She even gave us some other options for lawyers that she highly respected. We truly felt as though she had our best interests in mind. In the end, Diane was able to represent us and her communication, leadership and clarity throughout the process was night and day different than our first lawyer. I can’t stress to you enough how important it was for us to have made the switch. While we were hurting financially, it was %1000 times worth it to lose the money on the retainer to our previous lawyer. Bankruptcy is something you have to take ownership of. There was a lot of work for us to do and our case’s quality depended on us taking ownership. However, Diane was a great coach in letting us know each upcoming step and what was needed. She simplified it so that we weren’t ever overwhelmed. When our family met in court we were at peace and confident in our preparation. Furthermore, there was a high level of respect our trustee had with Diane. This made us feel good about our representation and further confirmed our confidence in her. It has been a year since my wife and I started to consider bankruptcy and my wife and I find ourselves pondering our last year. This time last year we felt hopeless with our debt and struggling to find any solutions. Now, we have hope for the future, more discipline with our finances and eternally thankful for Diane’s guidance through the process. We out 5 months after discharge (with a credit score of 688 which we didn’t think was possible for us) and happy to be moving into a new year with this behind us. From beginning to end, Diane was consistent, calm, encouraging, thorough and helped us feel hope again. We can’t say enough great things about Diane! 3. Hire Diane and trust her to help you! B.K.Bankruptcy is not in anyone’s long term plans and was something my wife and I never really considered for years as we slowly drowned in debt. GREAT TEAM – DIANE AND JAY. We can’t say enough good things about Diane Drain. My wife and I were at a point that we were devastated with our financial problems. From the first phone call to her we felt that there was help. She gave us new hope. Always putting our minds at ease and explaining each step though our bankruptcy. Whenever we called her she answered our calls right away. Unlike most law firms I have dealt with some and when you call you get a secretary. They in turn tell you that someone will get back with you. Seldom is it with-in 24 hours, and then not even the person you suppose to be dealing with. Not with Diane she is there to help, and work for you. If ever there is a question she is there to answer it. K & CGreat Team - Diane & Jay. If ever there is a question she is there to answer it. Both Diane Drain and Jay McClimon at Law Office of D.L. Drain are by the far the most passionate, honest, and hardworking people I have ever met. Thank you again for your expert care with our bankruptcy case. J.L.Thank you for your expert care with our bankruptcy case. Diane is extremely knowledgeable about the whole process. Following her guidance help make the process as smooth as possible. Throughout the process she treated me with the upmost in respect and professionalism. D.K.Following her guidance help make the process as smooth as possible. Diane Drain is an expert who gets the job done! We hired Diane Drain to handle a complicated eviction / Lift of Stay on a tenant who filed bankruptcy. Not only did she answer my multitude of questions in a timely manner, I quickly discovered that she has a vast knowledge of all kinds of bankruptcy issues. I was confident that I was in good hands. Her years of practicing law give her an edge over many novices and it is very apparent that she is well respected in the court system. I think Diane Drain is the best Bankruptcy attorney out there. B.R.Diane handled a complicated eviction / Lift of Stay on a tenant who filed bankruptcy. Diane and Jay did a great job for us. Diane is a very knowledgeable, experienced, and well-connected bankruptcy lawyer. She instructed us well, was invaluable in getting all the paperwork completed, and represented us well at the creditors’ meeting. Jay’s accounting and financial experience contributed a lot to the process. They were very accommodating, and tried to honor my work schedule as much as possible. Our situation was complicated by having moved here recently from another state, but that posed no problem for them. I highly recommend them. R.B.Our situation was complicated by having moved here recently from another state, but that posed no problem for them. Diane and Jay provided a professional and caring service. Thank you. I knew what to do and what to expect every step of the way thanks to your guidance and insistence that I take responsibility for my case. I greatly appreciate that! Not to mention, both you and Jay are wonderful people. Thanks so much! S.Z.Thanks to your guidance and insistence that I take responsibility for my case. Diane and Jay provide hope and ease throughout a very stressful situation. Diane is thorough, knowledgeable, experienced and trustworthy. She takes her time with each step ensuring she understands the story. They are both available when needed and respond timely. She provides the educational tools to help you be prepared for the next steps. I would recommend Diane Drain to anyone needing BK assistance. Diane and Jay are an impeccable professional team! She explains everything you need to know and puts your heart and mind at ease with her compassion and understanding throughout the filing process. Her expertise and guidance are unsurpassed! P.H.Her expertise and guidance are unsurpassed! I approached Diane with a large debt problem. Although I was working with a company to pay down the debt, one of the credit card companies decided to sue me. This would have destroyed all my pay-back efforts. Quite frankly I was scared about having to deal with a big credit card company in court. I think they were about to roll me. I sought help from Diane with some degree of trepidation. But Diane was able to explain everything to me even though I was under a lot of personally imposed stress. Diane understood all the emotions that were flowing through me and kept me relaxed enough to get through the entire process. She was part Lawyer, part Psychologist, and part Mother Hen. It was exactly what I needed. I really can’t say that going through Chapter 7 was fun, but Diane made the process acceptable and kept me focused when I needed to be focused. I absolutely recommend Diane to anyone considering walking down this path. Thank you Diane. This has made a huge difference in my life. D.S.This has made a huge difference in my life. Thank you !!! Diane and Jay for all your help. I would highly recommend your services. You were very caring and helpful during the whole process. You gave us great guidance through a very stressful time. We appreciate it. J.B.You gave us great guidance.. Thank you speaking with me and for the advice given. Wish I would have found you to begin with. I have worked in the demanding High Technology Industry for over 40 years and have been involved with many stressful and high pressure business situations worldwide. None of these experiences prepared me for the prospect of dealing with the discussions of filing for bankruptcy and the day to day emotions associated with this process. Fortunately my wife and I selected Diane Drain’s Firm as our Bankruptcy Law Firm. Diane Drain is extremely knowledgeable, extremely well organized and has predefined processes that help the client through this complex process. Please understand that you must be prepared and willing to follow these processes and you will get very good results in return. You will not be “ babied “ and you will have to put in the required time and effort, but Diane’s processes and methodology does work. My wife and I are very happy with our decision to engage Diane Drain and we highly recommend her. The best of the best to be represented by Diane. Very high grade!!! J & B B.Very high grade!!! Five out of five stars. Diane’s expertise and solid experience and instructions made my entire Bankruptcy process very understandable and helpful! Her guidelines helped tremendously. The entire process would have daunting without her professional help. Anytime I need any professional legal help in the future she will be the first one I call and recommend to my closest family and friends! K.B. This is your bankruptcy; you get out of it what you put in. I had filed for Chapter 7 with Diane and it was the easiest most stress free process. My wife and I were considering for months on just what to do since this was my first time filing and we got different or incomplete answers from the lawyers we talked with which did not help and lead me to put off filing. My wife found Diane and when we consulted with her I immediately felt more at ease as she answered every question no matter how ridiculous I felt to ask and gave me sound advice. More important was that my wife felt we can trust her with how patient and well informed she was which helped with her anxiety and meant the world to me. Diane and her husband Jay are cool, salt of the earth people who REALLY want to help! Hands down the “scary” experience of bankruptcy was not scary at all and we retained her immediately. She was kind, knew what she was talking about and kept me very well informed with each step as we went along. I HIGHLY RECOMMEND her services and I cannot be more grateful to her for all she did in helping me get through my bankruptcy. Good woman and AMAZING lawyer! Diane is very detailed, and although it may be overwhelming it is in your best interest to do EXACTLY what she says to do. Follow her directions, be organized and prepared. This helps to ensure that your assets are protected, and the Bankruptcy is discharged. I appreciated her patience and professionalism. Diane Drain is one of the most incredible attorneys I’ve ever had the pleasure of knowing. She takes the time necessary with each client to provide expert advice. Her knowledge and patience are a model that every attorney should follow. I am very thankful that I had the opportunity to watch her in action. Anytime anyone asks me who they should consult with in regards to a bankruptcy question, I never hesitate to send them her way. Additionally her website is a fantastic reference for both customers and attorneys. I have called Diane seeking help with a Real Estate issue. Even though my issue does not fall into her area of focus, she kindly gave advice and recommended someone else. I wish I could hire her, as I have been through crook lawyers in the past, who made me pay for advice that was useless, unlike Diane, whose advice was free, generous and to the point. Diane I just wanted to give you an update on us. We filed bk with you representing us about 7 years ago now. Just wanted you to know we are doing very well. We did listen to you and have no credit card debt to this day. We purchased a home 3 years ago but stayed way under our budget. We bought vehicles but both vehicles are a lot cheaper than what we could have purchased and the one is almost paid off and we have owned it a year. Vehicles are our weakness. We would like to get better in that area. We have only paid interest on our vehicles and home since we filed. We try to follow Dave Ramsey as much as possible. So paying off everything is our goal. I am doing amazing in real estate now and my husband is still at UPS and doing well. That was the hardest time in our life and it was rough on our marriage and mental state. We ended up needing counseling 2 years ago for our marriage and our counselor said our problems started 5 years ago and wanted to know what happen then. Well that’s when we filed. I don’t know how people file every 10 years. Thank you for bringing us out of the mess we got ourselves in. We plan on never being in that situation ever again we look at money and credit very differently now. Just wanted to share our story so you can share with others that come in. It is not an easy road to just file bk. Take care and thank you. Followup from client : please tell people that the first year is hard but after doing a lot of research on how to build our credit by reading bk forums we were able to get back to doing very well. Now we have credit scores in the 740-750 range. So, yes it isn’t the end all, but it isn’t easy either you have to buckle down and not blame each other as well. It happens to more people that the public realizes. K.T.Just wanted to share our story so you can share with others that come in. We found ourselves in a financial tsunami 2 yrs ago. No matter how we did things the financial outlook was getting worse and worse. We finally decided we needed to investigate options. Once we found Diane Drains website and started to learn what the process of bankruptcy entailed we felt there could be an answer for us. We made an appoint to speak with Diane and decided this was the path we needed to take. While we were getting our documents in order and other paperwork completed, we became bogged down once again thinking maybe we can try something else, something different. So after delaying almost a year longer in April of 2017 we finally jumped onboard @ 100%. Diane and Jay were great guiding us and making sure we had all the items needed completed. They filed, kept us informed, went to the Trustee’s meeting with us, and kept us inform during the entire process. They made the whole process less painful and manageable. We owe a debt of gratitude for Diane having the wisdom to use her website to promote the education of the bankruptcy process available to everyone. If it had not been for her well thought out website and the detailed information we would have had to take our chances with the process. If you find yourself totally stressed and unsure of how you can repair your financial health, you can rest assured that Diane and Jay will do what is needed to get you through the process. They’ll give you peace of mind once again. Additional note: 0ne of the things I forgot to put in there was the personal service especially the day of the trustee’s meeting. There were a minimum of 4 people that were meeting their lawyers for the first time. One lawyer asked us twice what our name was. She waited another five minutes and then asked again and I quote ” are you SURE your not the Thomas’s?” I’m pretty sure we know who we are and that is not us.” We thought at the time how odd that was that so many people would not have taken the time to actually meet before hand. Very odd. T & G. W.Diane uses her website to promote the education of the bankruptcy process available to everyone. Our experience with you as council was so much more comfortable and professional than I expected. You are simply the best. I recommend anyone who has the unfortunate situation of being faced with bankruptcy to seek your service. Thank you, and be blessed. Very professional Diane and Jay, loved their process was very simple to understand. Diane and Jay did a fantastic job helping me through the bankruptcy process and making sure I knew what I needed to do and what to expect every step of the way. They were amazing and helped me feel at ease with the process. T.R.They helped me feel at ease with the process. My experience with both Diane Drain & Jay have eased my troubled mind! They both were Extra Helpful during this trying time! I read all of Diane’s messages and she seems to be a very bright and informed woman. Thanks for all of your help that you provide to people that need your help by your messages. I could not have made a better choice than Diane to help me with my bankruptcy case. During what is a very difficult and stressful time, she made things so easy to understand and the process could not have gone smoother. If you are looking for the right lawyer to help you with your case, do not hesitate to use Diane!! You made this terribly difficult situation as comfortable for me as possible. You relieved deep seated fears for me and I felt I was very well taken care of and I felt every area was taken care of completely. And I was guided and encouraged very kindly and professionally. Diane and Jay helped me through a very difficult time. My Husband passed after a year-long had to file chapter 7 bankruptcy, and needed to re-locate to Seattle to live with my daughter and her family. Diane and Jay are a wonderful team that will get you through your BK with as little stress as possible (Still super stressful, but it’s minimized). She goes way above and beyond the call of duty to represent you. Most importantly, she’s a wonderful, down to earth mental supporter which is much needed during these times. If I could give her a 10 star, I would. Diane and Jay have far exceeded my expectations of legal services by going above and beyond. Not only did they help me prepare during that most stressful time period in my life but also educated me during the process to prevent any future occurrences. Their systematic process streamlined the procedure and they took the time to listen without judgment. Diane’s personal review of my financial disposition and consultation of my legal options helped me make the right decisions for my case. She was very professional and stayed in her lane as she knew I had already hired another Attorney. She was kind and made me feel better about my choice that I made. She gave me sound advice, and she didn’t have to do that. This to me is a sign as to what kind of person and Attorney she is. If I hadn’t had already made a decision I would not have hesitated to look at the possibilities of retaining her. I will however be recommending friends I know that need help to her. T.&G.W.Finding the right lawer to help with a finacial reboot. It was such a pleasure working with Diane through this difficult process. Diane is a wonderful attorney who not only knows the bankruptcy law inside and out, but is very compassionate and explains everything in detail through each step of the process. If you are in need of an experienced attorney, who will have your back while you navigate the bankruptcy process, look no further than Diane. J & B S.Best Bankruptcy Attorney in Phoneix! Diane and Jay were amazing! They made everything so easy and answered all of my questions thoroughly. I appreciate all the help and guidance I received throughout my filing experience. I would highly recommend Diane to anyone looking into bankruptcy. Diane and Jay were excellent. They were very patient with all the questions we had during the process. I would recommend them for anyone who needs help. R.B.Diane and Jay were excellent. Diane was so professional, knowledgeable, thorough and very kind to work with as she guided me through the extremely emotional process of filing bankruptcy. She was optimistic and positive and always available if I needed to ask questions. Along with her paralegal Jay, an unpleasant experience was turned into a new beginning for me. I know that my bankruptcy case has been handled in the best way possible for my situation, giving me the opportunity to start over. My sincere thanks to Diane and Jay! I am a very satisfied client and wouldn’t hesitate to recommend. Diane and Jay are wonderful people that really went to great lengths to help us out and manage our bankruptcy in order the give us the best chance at financial recovery. Bankruptcy is horribly stressful and they really made it as streamlined as it could have possibly been…I’m not saying I ever want to go through this nightmare again, but if I did I would definitely call Diane. Everything takes time. Your help was outstanding and I am at the end now. Thank you for your patience. 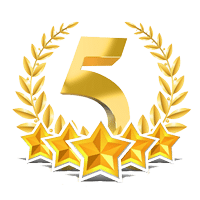 You and Jay get five stars from me! Diane and Jay were both very helpful and promptly answered questions that came up either via return phone call, email or both. They both were very knowledgeable about the whole process and did a good job keeping us informed of progress and next steps. My wife and I would definitely recommend her services to others. Absolutely top notch. All my questions were answered. Would definitely recommend this firm to anyone. I didn’t care for the experience of filing for bankruptcy but it was made enjoyable by the very patient guidance through the process by both you and Jay. Your ability to relate and explain things in a calm, professional manner made the process seem less cold and less stressful. I would highly recommend your firm to anyone who may need bankruptcy advice. K.C. Five years ago, I was in financial term oil for various reasons and was running scared. I did not know what to do or how how was going to get out of the mess I was under. I avoided answering my phone and opening collection letters like the plague. I didn’t want to admit that I needed legal help. I was stubborn and thought I could handle it….wrong!!! I consulted with two different attorneys and left both feeling like I was just number and not an actual person who needed help. To my good fortune, I then found and consulted with Diane Drain. I felt at ease with her. She listened to me with empathy and understood my situation and reassured me that she would help me and that I was not a failure and that bankruptcy is a legal right to anybody who just needs a fresh financial start. Filing a Chapter 13 bankruptcy is a lot of work and takes tremendous discipline but Diane and Jay were with me every step of the way and I will be forever grateful to them for helping me through a very dark time and providing me a guiding and comforting light while I worked toward getting my life back on track. For me, the third time was the charm. Diane and Jay, I thank you so very much for all of your help. You truly are a credit to all you represent and I will not hesitate to refer anybody I know to you should he or she need legal financial advice. E.L. March, 2017"answered all of my questions thoroughly"
Diane and Jay made sure we were put at ease throughout the process. S.L.We were put at ease throughout the process. My wife and I would like to thank Diane and Jay for their hospitality, thoroughness and patience. With the hard decision of wanting to file bankruptcy, they showed no judgment. It is a lot of work to prepare, but the the Law Office of Diane Drain walks you step by step. We appreciate your help, advice and recommendations as we are more prepared for a better future. L. & A. Q. It is a lot of work to prepare, but....we are more prepared for a better future. Again, thank you. You made this unpleasant experience very calming and reassuring for both me and my wife. This was a real learning experience! Every time I met with Diane I learned new things. Each visit I became calmer about the situation because it was a big step in getting my life back in order. The educational experience was awesome! Diane – you are nothing short of excellent! From the first hello, how can I help you- to congratulations, your discharge has been entered, you were superb! Patient, understanding, compassionate, kind, considerate, knowledgeable, highly-skilled expert are a few words that come to mind when I think about you. Superior quality and service. Although a difficult situation, it has been truly “our pleasure” working with you and Jay. We always talk about what an excellent attorney we have and gladly share your information. You also educated us on many issues we were unaware of so that we will never be in this situation again. Words cannot express our gratitude and we thank God everyday to have found you. An expert who gets the job done! You truly are amazing – we can never thank you enough for your hard work, concern and professionalism. I knew from my initial phone call to you that I was very lucky to have found you. Diane, Thank you so much! You did a fantastic job and made this complex process so easy to understand. As you know I interviewed a different Attorney first. I’m so happy I choose you! You are by far the most informed person on this subject here in Phoenix! Thank you so much! I cannot praise this attorney enough. She was very pleasant, knowledgeable and informative. I would definitely recommend her to anyone. Diane was extremely thorough and educated me on my responsibilities and how to be proactive in order to make this life changing event a little easier to deal with. She was very to the point and quick to respond to my queries and concerns. Diane and Jay were great to work with. They were very understanding of our situation. Diane and Jay were amazing to work with throughout the process of filing bankruptcy. They provided all of the information needed to make an informed decision. I have just recently received my Chapter 7 Discharge of Debtor from the US Bankruptcy Court and I wanted to take this opportunity to say thank you to Ms. Drain for the excellent work and support that she provided me during my bankruptcy. From the abundant information on her website, to the answering of all of my questions, she turned a personally upsetting situation into a bearable journey. No matter what my questions were or how many questions I had, she took the time to patiently answer them in a timely manner, whether in-person or by email. She also explained them in a way that was easy to be understood, and if not, took the time to answer them again until I was able to fully comprehend the answer. Finally, when I was asked a tough question at the Meeting of Creditors by the Bankruptcy Trustee and I didn’t answer in the best fashion, she was there to provide the necessary simple response that clarified my situation such that the Trustee had no further questions. I was extremely fortunate and blessed that I obtained her as my legal counsel and I would highly recommend her to anyone considering bankruptcy. Thank you again Ms. Drain! Five out of five stars. “I met Diane Drain at a professional seminar where she was a guest speaker and was most impressed with her legal knowledge and her willingness to answer questions following the seminar and later by phone for follow up questions. When our health and business reversals made declaring bankruptcy our only option, Diane Drain was our first and only choice for our bankruptcy attorney. From the moment we talked with Diane on the phone, she put us at ease with her understanding about our situation and was very supportive. She explained over the phone before we met the overall bankruptcy process, our options, what was expected of us, her role, her fee, court costs, time frames and answered our questions. It was an immediate partnership and she was all in to help us. What a relief we felt immediately! Once we gathered our initial documentation with a lot of Jay’s patient guidance, we met with Diane, signed paperwork and waited for our court date. Diane kept us updated on where we were in the process, answered questions and met us at the courthouse for the Trustee’s hearing. My husband and I needed to file for bankruptcy and a member of our church highly recommended Diane Drain. We could not have gotten a more knowledgeable and genuinely caring lawyer than Diane. She helped us with every step to make sure we were well informed of the needed forms,procedures and information that was required. It was a stressful time for us,however, Diane was always very reassuring. Thank you.Diane, for your thoughtful ways in getting us through the bankruptcy Sincerely and most Grateful. Diane, Thank you so much! You did a fantastic job and made this complex process so easy to understand. As you know I interviewed a different Attorney first. I’m so happy I chose you! You are by far the most informed person on this subject here in Phoenix! Thank you so much! Going thru CH13 was a huge and difficult decision for us. Both Diane and Jay were very patient. Took time to explain everything. They were receptive, understanding and helpful thru the entire process. As you can imagine we had many questions during the 5 year process but they were always quick to respond. I would recommend them highly. I live in Las Vegas and had a legal matter involving bankruptcy. My attorney in Las Vegas informed me that I would need an attorney from Arizona since the claim was filed in Arizona. I knew no one so went online and searched. No one had better reviews than D.L. Drain. I cannot praise this attorney enough. She was very pleasant, knowledgeable and informative. I would definitely recommend her to anyone. Simply put, Ms. Diane Drain knows her stuff and you certainly want somebody of her caliber in your corner when the chips are down. It is a great privilege and a greater comfort to have her in mine. I have made some bad choices along the path of life as most of us do. Its all part of life’s lesson. However, the choice I made to select her as my attorney was no doubt one of the best decisions of my life to this point. Call her…call her now and get control of your life back…I did!!! I promise you will not be disappointed. Thank you Diane and thank you Jay !!!! Thank you for your caring and professionalism with my case. My experience was great! Diane was very professional and dedicated to helping me with everything I needed. Outstanding! I would recommend her firm to my friends. The absolute best Bankruptcy Attorney. 5.0 stars Diane and Jay were wonderful. I really appreciated their genuine compassion. I hired the absolute best for a fair price. Diane has an absolute mastery of the law and she explains everything in a easy to understand style. She will not only answer every question in detail, she will ask you questions to be sure that you understand all the content and details. You get the absolute best counsel money can buy, which is very comforting during such a drastic life event. I highly recommend Diane and her staff without any reservation. Diane did a great job handling our bankruptcy. She kept us informed throughout the process and always responded to calls & emails. I would highly recommend her to anyone considering bankruptcy. Diane and Jay did an excellent job and my wife and I could not be happier. She was able to help us keep the assets that were important to our family and answered our questions along the way. Very knowledgeable and professional. Diane came very highly recommended to us by a long time family friend who is also an attorney. Would not hesitate to recommend their services. To file bk was a very hard decision to have to make. I felt like a failure. In my early 20’s my husband and I bought a home and financed it using an arm loan. Long story short…we trusted a lot of people we shouldn’t have. We thought we were asking all the right questions, but there was so much we didn’t know. The economy tanked about the time our arm adjusted and our monthly payment skyrocketed. We worked with the lender for months to get a modification, just to be put back into another arm loan with a higher payment. After a year on the modification we realized we were back in the same place we were previously….arm loan set to adjust during a recession. So we decided to short sale. It felt like the right thing to do. Just up and walking away from the home seemed so dishonest. The first and second mortgage would both make money off the short sale and we would sleep at night knowing we did as much as we could right in a bad situation. Wrong! Another thing we learned the hard way is that the 2nd mortgage can, and will, agree to a settlement and then sue you for the rest. We tried, and TRIED, to work out a payment plan with them, but they refused. They wanted all or nothing. That’s when I went looking for an attorney and found Diane. On a personal and professional level I couldn’t have dreamt of a better person to be on my side. She knows the law and wants us to know the law. She was concerned about our future financial welfare. My experience with her was not- pay a fee, file, and good luck. My experience with her was that of a protective loving mentor. She wants people to succeed in life and gives you the tools to do so. I can’t recommend her enough and will be forever grateful for finding her! Your process and approach are clear, comprehensive, and thoughtful. You treated us with the utmost respect and left no stone unturned in helping us to sort through and make appropriate decisions from our first meeting through the final phase of the process. In fact, your process alone is more than worth your fee. The quality and extensive documentation, Q&A, plus your anticipation of potential challenges and roadblocks were especially complete and helpful. But it is your personal style, commitment to upholding the detailed level of review required to ensure client fulfillment of obligations under this difficult and complex process, and your willingness to patiently review topics, as well as your willingness to really listen and respond forthrightly to our questions and “special circumstances” that probably every client has that really stands out to us. As a couple who have never before experienced the kind of setbacks that ultimately led us to the decision to file Chapter 7 you focused on our case, did not treat us as a “cookie cutter” case and helped us navigate the process in a way that preserved dignity and focused on a successful outcome. We are most grateful for your and Jay’s professional approach and your commitment to providing outstanding support that we will always remember. My very sincere and heartfelt thanks. I am so very glad that I came across your site as I was educating myself on the situation and that I didn’t go with the first attorney I spoke to. You made this process as painless as it can be and although I’m sorry I had to do it, I am now at peace with what is done and don’t think I could have had a better experience. You are very good at what you do. I wish you continued success in helping your clients. Diane made this whole process a lot less scary and answered all my questions in a way that made me feel like this really wasn’t the end of the world for me. I would highly recommend her to anyone considering their options to file for bankruptcy. As difficult as this entire process was emotionally and physically bringing everything together my experience with you has been amazing and much easier than I thought it would be thank you for all of your help. I was extremely pleased by the professionalism and care that I was handled with. I will recommend you to everyone I know that can use the expert help that you provided. Diane, Thank you for the good news and for being nothing less than a “stellar” legal representative, a great and understanding sounding board for me during a most difficult and emotional time period, and a most patient person with all my various questions. Say thanks also to Jay for me, he was also of great assistance in the documentation process and in answering procedural process questions regarding the required documentation needed to complete the file for submission. Diane did a tremendous job preparing me for my bankruptcy. She educated me thoroughly about the process and stressed the importance of following all the steps as concisely as possible. Her rates are very reasonable, and I cannot recommend her highly enough. Thank you for your wonderful services – consider, fast, friendly, and very professional. You took care of one of my headaches, I owe you a million! It will be a privilege to recommend you to other clients. I had one of the best experiences walking into Diane Drain office. She helped me through my worst and I can’t not thank her enough. She is a very Knowledgeable, Experienced, and Dedicated to her profession! Thank you for a new start in my life! My wife and I had several questions and concerns regarding our home and a second mortgage which the lender is unwilling to work with us. After jumping through numerous hoops and an endless paper trails we were denied a loan modification. After sitting down with Diane and going over all our options, it was clear to us what our next strategy was to be dealing with our situation. She was honest and upfront with us and really knows her subject matter. All of our questions were answered and if anything arises in the future(and it probably will) she stresses please don’t hesitate to call her. We strongly suggest if you in the market for an attorney to deal with your legal matters you reach out to Diane-we were not disappointed. If you are reading this; you probably need the services of a bankruptcy attorney and you’re worried and maybe a little frightened of the entire process and it’s impact on your life. Please trust us when we tell you that Diane is the resource you need. We will never forget what she did for us in time of need. There are Angels in disguise out there – we know that now. 5 Star service and representation from Diane and Jay. Extremely competent representation and explanations of the legal process and how to prepare for the filing. True compassion shown to those going through a very difficult time in their lives. Diane is obviously respected by the bankruptcy attorney legal community and I can recommend her services without any reservation. I’ve been in the legal field for over 25 years (as a legal secretary and paralegal) and Diane is a top notch attorney. She knows the ins and outs of this area of law and does a really great job of explaining each and every step in layman’s terms. It’s a scary time when you come to the decision that you need to file for bankruptcy, but Diane put us at ease and we felt very comfortable with her. Her assistant, Jay, is a great resource and was always available to answer any question that we had. We would definitely recommend her! Diane is great. After looking around for an attorney, I couldn’t be anymore happier with my decision of going with her. She answered all of my questions and took her time with me. Very motherly and straight forward. It’s very hard to find an attorney that treats you with respect and is very straight forward. Honesty is key in these situations, and she has it. Thank you Diane for helping us! The best! Very professional, patient and kind. We hope we never are the position to use her again. But if you do she is the one to go to! Diane Drain is really knowledgeable. She helped us tremendously in our bankruptcy case. We are thankful for all she did for us! I was greatly relieved to find an attorney that I felt completely at ease with, confident in her professionalism and her staff; and to find someone I felt I could trust completely. Diane was a the best choice we could have made when choosing our legal counsel. She is as much a teacher as a lawyer, always patient and willing to answer any questions no matter how small. She was very thorough, making sure an already stressful situation did not become worse. She put us at ease immediately. Thanks Diane! My wife and I would highly recommend Diane Drain to any one who is considering bankruptcy. She handled our case professionally and in a very timely manner. Diane and her team made a long, frustrating process pretty painless. Thank you Diane!! Overall grade for help received from Diane and her staff – 110%. Now I can breath and it is thanks to Diane. Thank you. It was a pleasure and privilege to be your client. I am continually grateful that I was led to you to help me through my bankruptcy process. You are truly the best of the best and it would be a welcome honor to share my most wonderful and painless experience I had with you as my guide and wise counsel with anyone at any time. I have never read directions and followed rules more thoroughly in my life, and I couldn’t be more grateful for your master-planned website and life experience in this profession to make sure I remained educated and on track throughout. For your guidance, infinite knowledge and wisdom, professional-counsel and encouragement, I am most grateful. I sing your and Jay’s praises from the rooftops for the array of help and guidance I received. I can’t tell you how glad I am that you were our bankruptcy attorney. You helped me in many ways and I am very grateful. Most of all, I appreciate your frankness and honesty. You always took the extra time to explain everything very thoroughly. You were always “up front” about everything. This was a VERY difficult time for me. Through your kindness and expertise you made it much more bearable for me. I will never forget what you’ve done for me. You were brilliant! After a divorce I found myself in a situation where I needed to file bankruptcy. I hired Diane and could not be more pleased. Thank you so much for all your hard work on my case. I appreciate all your support and compassion through a very difficult process. Thank you so much for all your hard work on my case. I appreciate all your support and compassion through a very difficult process. Diane and Jay were very patient with us in explaining every important detail involved in our case which helped ease the anxiety that sometimes came when we felt unsure about certain questions, Thank you. You made an unexpected, uncomfortable experience easy to get thru and recover and move on in our lives!. Thank – you are the best. Dearest Diane & Jay, Thank you for giving us the opportunity to express what a great honor it was to have you represent us in our bankruptcy. We are sneaking up on our third anniversary of that bankruptcy. I can’t tell you how many times J & I look at each other and say how glad we are that we went thru w/ it. It truly has changed our lives. All is well w/ our family. J was laid off at the end of May, but w/o that huge debt weighing us down we are surviving! Both younger kids are full time students & we couldn’t be more excited about that. Hope all is well w/ you two. We cannot thank you enough for helping us through this difficult and embarrassing situation. After our first phone conversation I had no doubt you would be able to help us and that you actually cared about our situation. So many larger firms treat clients as if they were in an assembly line. You r willingness to answer and and all of our questions immediately put my mind at east. The only comment I have is that you should raise your rates. Your fees are extremely reasonable and your personal attention to our issues is worth double what we paid. Just a quick note to say Thank You! We received our discharge paperwork this week and it has been a huge burden lifted off of our shoulders. I want to thank you for your total professionalism and the manner in which you treated us as clients….we never once felt judged for the position that we were in. Instead, we felt that you had a genuine concern for us as clients and that one of your goals is to insure that we were educated on the process and what our options were from the start. You were the main catalyst that made a very emotionally draining time very bearable and helped us to see the light at the end of a very long dark tunnel. *Diane Drain and her staff have guided us through the rough terrain of a bankruptcy. From the beginning of this process, to an end that is quite near, Ms. Drain has provided the highest level of expertise. Her extensive knowledge of bankruptcy law has helped us immeasurably. Communicating with her and her staff has always been easy, swift and the information that is conveyed is very clear and put in layman’s terms. She will explain things as many times as she needs to with a good dose of patience. She helped us to pick up the pieces of our lives and to maintain our dignity while doing so. We cannot say enough wonderful things about this gem of an attorney. When I made my decision to file for bankruptcy I did some research. I went through a link on the U.S. court website and read a lot online. Referrals from the court website didn’t include many local lawyers who were willing to list their fees. Not all the lawyers listed gave their fees but Ms. Drain did. Her fee was in the ballpark for me – not the very lowest and not the highest. I visited a few attorneys and they would give me a pile of papers to fill out and then their staff would input the information for an extra $1000! Who needs that, when I’m just as capable, or more, to enter my own information. When I then compared websites and saw Ms. Drain’s I immediately knew I was in the right place – in that her site has so much information about bankruptcy etc. with history, stories, financial information. It was clear she cared and was committed to helping people in financial distress. She is clearly a teacher. I especially liked her personal, caring tone -that showed compassion – in writing and in person – not the normal thing you think of with attorneys! I was able to do the process almost entirely online – which made it quick and easy for me. Yes, you have to get all your details together at home – but that’s not hard. I think by having to enter all the information and with quick responses to questions from Ms. Drain’s associate it was a way for me to take responsibility for the process and thus feel better about it in the end. They were very responsive, efficient, and most of all caring which made the process go quickly and feel good. I’m now heartened, and not cynical, about my experience with an attorney. When my wife and I first considered bankruptcy we contacted one of the TV advertised law firms that specializes in bankruptcy law. On our appointment we met a group of the most inept people I have ever met. It was exactly the same as trying to buy a used car on Van Buren. Later I told a friend of our experience and I said I don’t want to file a bankruptcy and deal with “that” kind of people. He quickly corrected my thinking and recommended The Law Office of Diane Drain. On my first visit it was a pleasure to have someone explain the process so thoroughly. Mrs. Drain is very direct and clear on required documentation and what was required by us. We followed her instructions to the letter and the whole process went very smoothly. In my 65 years I have dealt with a lot of people in the corporate world and I feel Mrs. Drain and her staff offer integrity and professionalism second to none. I asked Ms. Drain to help me with a bankruptcy. When I first called I was scared, afraid to answer my phone and worried that my wages were about to be garnished. Ms. Drain was caring, professional and committed to making sure that I fully understood the bankruptcy process. She assured me that the law was designed to protect me. The process was complicated, but she always was available to help me with any questions. I have friends who hired Phillips and Associates to file their bankruptcy. Because of the education Ms. Drain provided me, I was explaining the bankruptcy process to my friends because their own attorneys would not take their calls. I wish all attorneys treated their clients the way that Ms. Drain and Jay treated me. I have referred my mother and a friend at work. They both think that Ms. Drain is the best attorney they ever talked to. She even answers her own phone. EXCESS SALE PROCEEDS: P. and I would like to thank you both, especially you Jay, for all the work you did in obtaining our Excess Funds check today. You somehow managed to get this done between January and June and I know how persistent you were. P. and I would like you to know that you can use us a a referral for Excess Funds clients anytime you need to. We were very impressed with what you did and the knowledge you had in getting the job done. It didn’t take me long to realize there are a lot of swindlers out there offering to do the same thing, but when I talked to you back in December, 2013 Diane, and had read your many articles on Excess Funds, I really felt I could trust you. That was one of the best decisions I’ve ever made and we will always be grateful for how you’ve helped us. When you’ve had to walk away from the home you love, being able to secure the Excess Funds through a firm you can trust makes all the difference in the world. Great job! We filed for chapter 7 bankruptcy and the whole process went very smoothly from beginning to end. This was thanks to Ms. Drain who was caring, professional and committed to making sure that we fully understood the bankruptcy process. She kept our best interest in mind at all times. We will definitely recommend Ms. Drain for anyone’s bankruptcy filing. Filing for Bankruptcy is a huge decision, yet Diane’s knowledge of the laws from her years of experience make it far less daunting. My wife and I would recommend Diane to anyone who is thinking of filing or ready to do so. Filing bankruptcy was not an easy decision but Diane made the whole process very easy and understandable. As a client you have a lot of control as to your personal outcome. Be diligent, do the homework, and complete all the information (and there is a lot of it) as requested. At age 60, this was the last place my wife and I expected to be at this time in our lives, but Diane was very concerned and compassionate and didn’t make us feel like failures in life. We made mistakes but thanks to Diane we are already on the road to a better future. Recommended without any reservations. We were amazed at how accessible Diane was. Weekdays or weekends at all times of the day it didn’t matter. She was quick to respond to our questions or needs. In short Diane did a great job for us and in record time. If the need arises we will certainly work with here again and not hesitate to recommend her to others. Filing bankruptcy was a very difficult choice and experience. But, Diane and Jay were very knowledgeable, professional and supportive throughout the process. Your team made the honor roll in a perfect grade. About 10 years ago you represented me in my bankruptcy and you were wonderful. I have referred a number of people to you, though I fear some of them did not have the ovaries for the follow through. I have followed your advice, and that contained in the information you gave, me and am proud to say my credit rating is approaching the mid- 700s and one of my creditors, USAA Federal Bank, actually re-issued me a credit card. I have done better than I ever expected and believe that much of my success is due to the thorough and respectful manner in which you led me through the process. Thank you so so much for all your help and understanding. Especially in the beginning when I had so many questions and you were so very patient with me. I felt that you were very upfront about everything, letting me know what to expect at every step on the process. Even more important, I felt that you truly care about your clients and work hard to ensure that you give the best advice. Now I can finally breathe easy and deep again. Even though the circumstances that led me to you were somewhat out of my control, I have still learned so much and I thank you for that! I wish that I did not have to file for bankruptcy protection; nevertheless, having to go through the process I am glad that Diane was the person to lead me through it. Diane definitely gets an A+ for all the guidance and empathy that she gave to me as a client. Diane – thank you for helping me keep my car and some self respect. This was so hard to do. I did feel a sense of relief once I saw you and we actually were ready to file. Words cannot express the gratitude we have for you! Rate Ms. Drain’s services: 5.0 out of 5.0. This attorney educates clients on the bankruptcy process and helps them correctly complete the steps needed to reach the end of the process in a timely manner. She is thorough, professional and compassionate. She and her team are responsive, knowledgeable, efficient, trustworthy, good communicators, detail-oriented, well-connected, caring and compassionate. They provided a balance of head and heart combined with expertise and appropriate action to get it done. Being a well-established lawyer, when issues came up that were not directly in her area of expertise, we received excellent referrals. The process was smooth and easy. Not a single problem with our experience. Everything was positive. It became necessary for me to file bankruptcy in earlier this year. While I was contemplating that action, I interviewed with several attorneys to determine their attitudes and work habits. In all but one I felt that the attorneys were far too impersonal and lacked the sensitivity that was displayed by Ms. Drain. Taking bankruptcy is not a very pleasant situation and, had I not had such a fine attorney as Ms. Drain, I would have been extremely distraught. Obviously, I would not hesitate to recommend Mr. Drain to anyone that found themselves in a predicament and needed legal advice. We were forced to file for bankruptcy about three years ago. We had no idea if we should use an attorney or what attorney to use. After contacting one attorney we quickly realized we might know more than him about the procedure. A realtor acquaintance of ours then recommended Diane Drain, who he had used in a bankruptcy filing. Diane led us through the procedure and helped us avoid numerous pitfalls. Her leadership was superb including starting the procedure, the filing, the hearing in court and numerous issues along the way. We recommend Diane Drain without reservation. Diane and Jay helped my wife and I get past a difficult chapter in our lives. They are experienced and professional. They answered all our questions and gave us excellent advice. We followed there directions from start to finish and the process was smooth. We are very happy we met Diane and Jay. Thank you. As a single mother of two college sons, one can imagine, how difficult it was to explain to my sons that my finances between home, college and building past debt had me making the heartbreaking choice of filing bankruptcy. A dear friend recommended Diane to me. She was professional and spent hours during this process guiding me patiently through this somewhat complicated and tedious experience. She always returned my calls promptly, she stayed by my side during the court proceedings, but mostly she kept reassuring me that I would eventually be okay and begin again. It could have been a humiliating experience and Diane made sure that it was not. I give her Five Stars for the work she does. Thank you Diane. If there is more than 5 stars, I would Jump to give the highest possible rating to attorney Diane Drain. Before I called Diane, we did our own research, read everything on their web site, we liked what we read and called Diane’s office. Diane spent more than 1 and 1/2 hours on the initial consultation alone. Our chapter 7 is a bit more complicated but Diane made everything so easy to go through the process and Jay is also equally, extremely helpful to get the information into the electronic format, on time. When we needed any clarification they both were there to pick the phone and guide us through. I consider Diane is a God sent to us and I told her too. Both Diane and Jay are extremely professional, kind, considerate and down right genuine. Because of Diane’s experience and knowledge on legal matters, she will let you know what to expect right away. We are fortunate and blessed to meet them, in the time of our need. Thank you Diane and Jay! Diane Drain and her staff are exceptionally knowledgeable, professional, and responsive. Diane guided and supported me throughout the challenges of bankruptcy in a very supportive and respectful manner. Diane has earned my trust, recommendation, and highest regard. *Diane helped me retain my dignity during a very uncomfortable time. I am very grateful. I want to express my appreciation to you and your assistant Jay for all your hard work. I can not imagine being treated with more professionalism and respect that you did. Going to the entire bankruptcy process was not a easy task for my and my family but you provided us with valuable counseling while explaining the law, you answered all our questions in a timely manner and you kept us informed at all times of how the process is going. You are not only a competent and experienced lawyer but also one of those fine individuals who takes pride in their profession while serving others. I will recommend you with any opportunity I might have in the future. Diane helped my husband and me get past a difficult chapter in our lives. She answered all our questions and gave us excellent advice. We followed her directions from start to finish and the process went smoothly. Having Diane in our corner, an experienced professional with a wealth of knowledge, turned out to be the best decision we could make. We are very happy we were referred to Diane for assistance. If only you knew how much you changed our lives. I can sleep through the nite, answer my phone and door without worrying who would be on the other side. Bankruptcy was not an easy choice (you understand :0-). You and Jay were so patient!! You never seem to tire of my constant questions. You were our savoir and mentor. Five stars. I thought lawyers were all greedy. You made sure we could afford your fees which allowed us to keep our car. There will never be a way to repay all you did for us. Diane and Jay are a wonderful team. Efficiency and clarity were the hallmark of our experience. I know that you are acutely aware of how deeply emotional and draining financial problems are. You took the time to talk with me about our foreclosure and 2nd mortgage. You allowed me to be human and treated me with dignity. Thank you for your time, expertise, and kindness. *I never felt ashamed about my decision because you were so kind to me about my situation. I thank you for you kindness and compassion as I struggled with my decision. I also thank you for your integrity for allowing me to move the processes as slowly as I did and not charging me any additional fee’s! Thank you for everything Diane and Jay! Thank you for the tissues as I cried about my life… and you were kind enough to listen. Your guidance and support is the only thing that kept me from loosing my mind through this very stressful and confusing process. Not once did you ever make me feel stupid because I didn’t understand the process. You are appreciated greatly! We were very apprehensive and stressed out at the thought of having to go through such a difficult process. From our first meeting with Diane Drain it was clear that we would not have to go through this alone! Immediately we felt a huge sense of relief. We were led step by step as to what would need to be done and when. When we did have a question or concern she responded right away.We never had to call more than once. We were treated with the utmost care and respect. Many years ago I had been a victim of an attorney who treated me insultingly, never explained anything and did not return my calls. I was left alone to try and resolve things on my own and it was extremely stressful. Our experience this time was completely different. We cannot thank her enough! Thank you so much for your assistance with this. It’s nice to see that not everyone treats bankruptcy filers as lepers. I was afraid that filing was going to be a huge and embarrassing hurdle to overcome and thanks to you, it wasn’t nearly the horror I had imagined. Thank you so much for your understanding and help! You’ve helped restore my thinking that not all attorneys’ are terrible and could care less about their clients. Diane – thank you very much for all of your help. I do not know what I would have done if I had not found you. Every other attorney I talked to was so cold and uncaring. You helped me understand what was happening in my bankruptcy. Thanks again. You were wonderful – Thank you so much. I am so glad that my son went to your seminar and found you. Diane, you were the ultimate in legal professional representation. Thank you forever for all you did. Thank you so much for your help. I feel very good about my decision and I’m so very glad I chose you to represent me. I do appreciate your kindness in helping us through this tedious process. Thank you once again for your incredible knowledge and persistence with these people. Ever since we have done the filing, I feel better mentally and physically, just like you said I would. In our eyes you are all A’s. You helped us so much. We are thankful for you and all your help. You are a caring person, and most understanding. You took time for us at a time that was very hard. We haven’t got to where we were before everything broke loose and we may never. But we are thankful for you. Thank you for helping us through such a difficult time. You patience and expertise was comforting and we knew that we were in very good hands. I first met Diane Drain in September 2008 when she agreed to represent me in my Bankruptcy filing. It was a difficult decision for me as I had always had outstanding credit and prided myself on being responsible and trustworthy. But, with my marriage of 30 years ending, the housing market sliding (I was upside down in the home), I had spent most of my savings and resources just to keep my head above water and then, I started sinking financially into a bottomless pit of debt. Bankruptcy was the best solution for me and that was a hard realization. Diane Drain handled my case with a wealth of knowledge and expertise. She kept me informed in all aspects of the case as it moved through the Court system. My Bankruptcy was discharged in Jan 2009 and Diane had advised me of the negative changes that would occur to my credit report. She also educated me, that the BK was a fresh start and my credit could be rebuilt with hard work and patience on my part. I want to inform others who may be going through the bankruptcy process, that with time, hard work and informed financial decisions, you can climb out of the lowest financial point in your life and achieve the highest point again.